As you know, I recently decided to open up the blog to other occaisional “Guest Authors” in order to keep a healthy variety of different material on here. If you fancy contributing yourself as a guest author, don’t be shy, and just let me know! June – the start of summer proper – but also, for many venues, the start of their main wedding season; after all, the summer months are traditionally when most people get married. 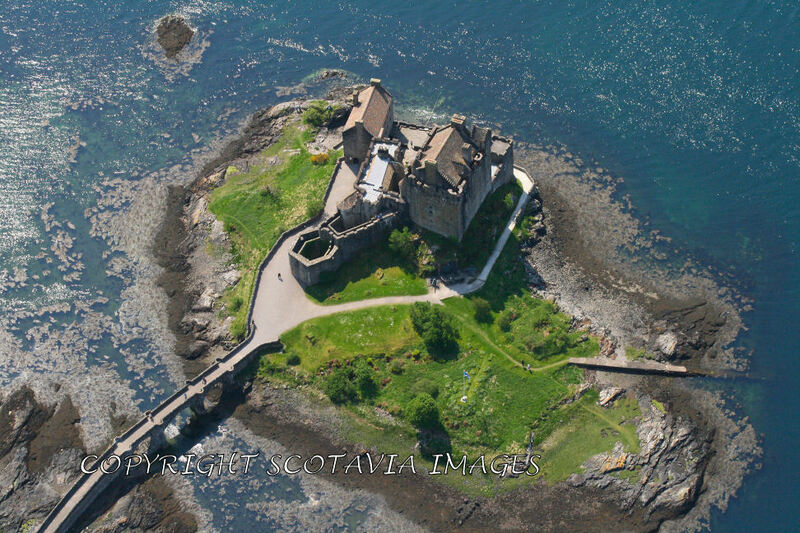 However, at Eilean Donan it’s a different story because weddings are a year round event – such is the draw of this iconic castle that people travel from all over the world, in all seasons, to say their special vows here. As a wedding photographer based near the castle, I’ve photographed countless couples pledging their love to each other – from weddings with only a bride and groom where I’ve been a witness, to small weddings of up to 20 people, through medium sized and full on 100 guest affairs. However, in three months time, I’ll be standing on the other side of the camera, in the Banqueting Hall, saying my own vows, because Eilean Donan is where I’ve chosen to get married. There are many reasons why we chose it: it’s historic, it’s beautiful, it’s an icon, it’s romantic, even though it’s big it has an intimate feel when you are inside, it’s very local to me, and it looks incredible in glorious sunshine or in the rain – in fact, after a shower the stone work looks beautiful with much more depth of colour. 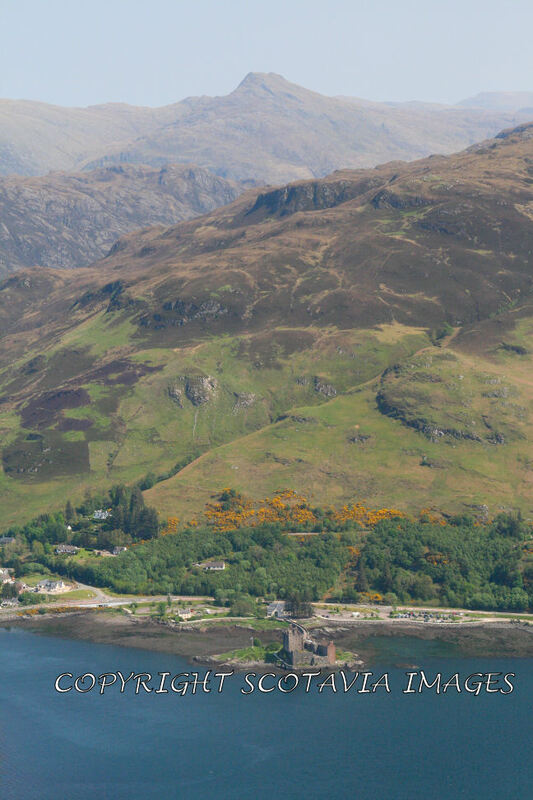 Of course, there are plenty of venues across the Highlands where couples can choose to hold their wedding, including lots of castles, but there is something magical about Eilean Donan and its immediate surroundings. It is the epitome of romance – a true fairytale castle. If you are looking for a venue for your wedding, I can really recommend this one, not only for the castle itself, but for the welcome you get from wedding co-ordinator Wendy and her team, who will make sure your wedding runs ever so smoothly. And, from my own point of view as a photographer? Well, it has everything I need to provide amazing photographs for my clients. But don’t just take my word for it…..see for yourself! 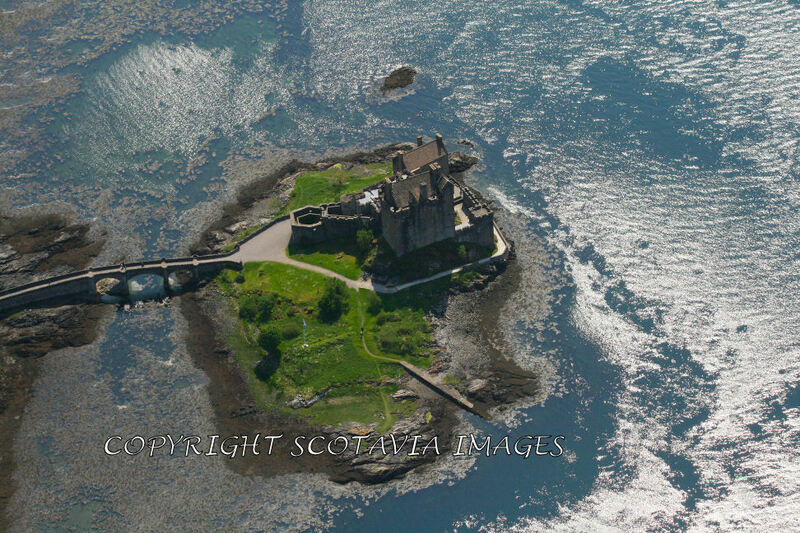 My series of aerial views of castles in Scotland would not be complete without Eilean Donan. It took two years before the light was good enough and we had bookings in the area. My choice of views included the wider angles and close ups using a zoom lens. We use a high wing Cessna 172 which is a great mobile tripod and far cheaper than a helicopter. Aerial photography is demanding. As the person holding the camera, I have to remain calm, relaxed and confident, despite the aircraft moving in three dimensions! My pilot has gained experience from flying aerobatics although we do avoid extreme manoeuvres. All flights are very carefully planned, with attention given to the very changeable weather across Scotland. Locations are marked on detailed maps plus sketches and notes are made to ensure that I choose the correct approach avoiding any natural hazards or military danger areas. I take three digital cameras on the flights, ready to use with a variety of different lenses. 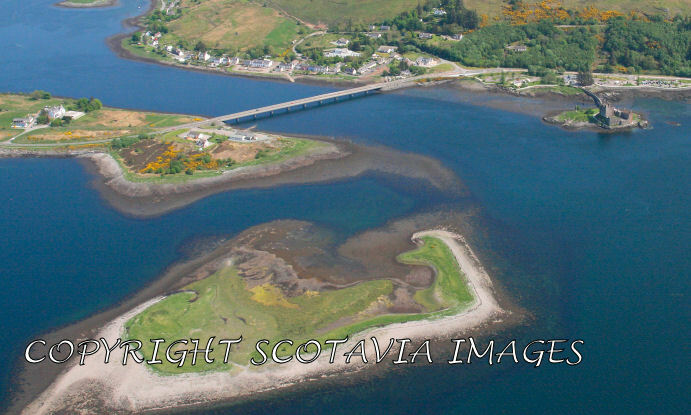 It’s a challenging but rewarding profession, and I’m fortunate to see scotland from above and record the views. Highlights include circling giant oil platforms transported on a ships deck; formatting on a vintage DH Dragon 1930s airliner; soaring over the waterfalls on the Isle of Skye and watching clouds touching the top of Ben Nevis from above. The low spots are the cancelled flights due to fog and the early days of getting airsick! 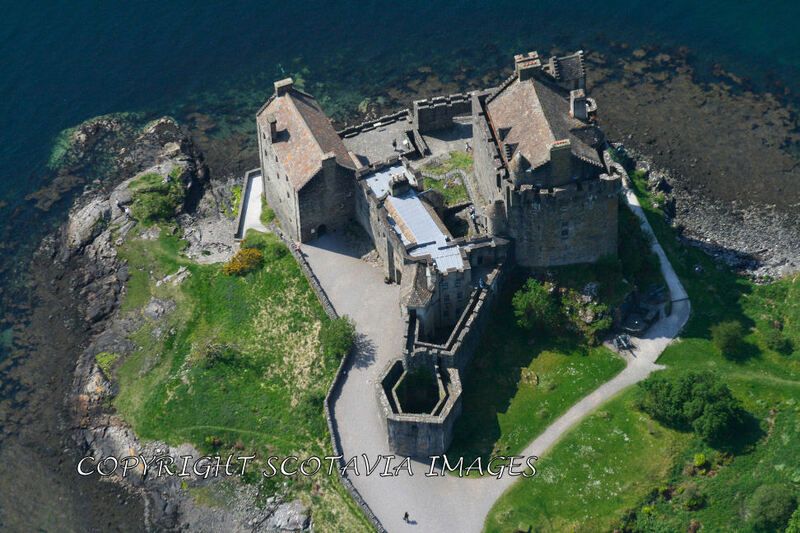 You can browse more of my airviews at www.scotaviaimages.co.uk and prints can be ordered from the large on-line gallery which also includes about 50 other castles. Hope you enjoy the work. My pictures have gone, sad now.